Lithium-ion batteries are a key technology in today’s world and improving their performances requires, in many cases, the use of cathodes operating above the anodic stability of state-of-the-art electrolytes based on ethylene carbonate (EC) mixtures. EC, however, is a crucial component of electrolytes, due to its excellent ability to allow graphite anode operation—also required for high energy density batteries—by stabilizing the electrode/electrolyte interface. In the last years, many alternative electrolytes, aiming at allowing high voltage battery operation, have been proposed. However, often, graphite electrode operation is not well demonstrated in these electrolytes. Thus, we review here the high voltage, EC-free alternative electrolytes, focusing on those allowing the steady operation of graphite anodes. 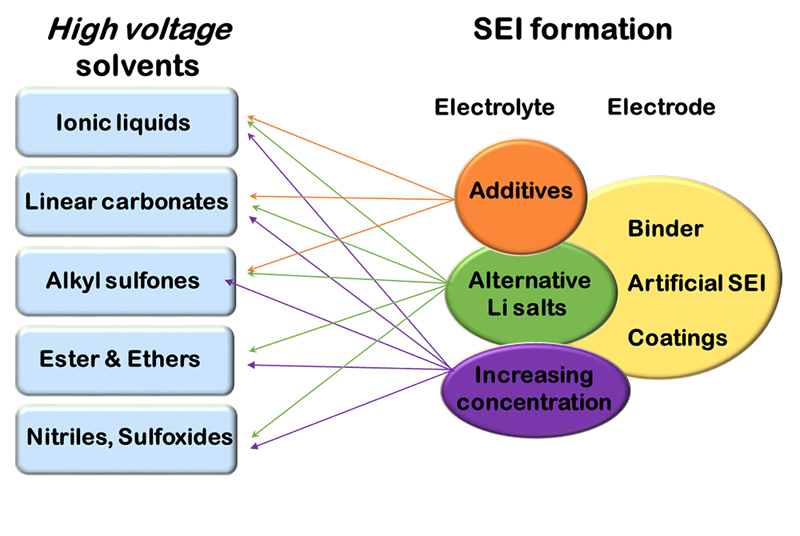 This review covers electrolyte compositions, with the widespread use of additives, the change in main lithium salt, the effect of anion (or Li salt) concentration, but also reports on graphite protection strategies, by coatings or artificial solid electrolyte interphase (SEI) or by use of water-soluble binder for electrode processing as these can also enable the use of graphite in electrolytes with suboptimal intrinsic SEI formation ability. Elie Paillard, electrochemist, studied engineering (Materials/Chemical engineering/Electrochemistry) at National Polytechnic Institute Grenoble (INPG), France. After a PhD thesis defended in 2008 on ‘New polymer electrolytes for lithium batteries’ (LEPMI laboratory, INPG, France), he did a two years post-doc on ionic liquid-based electrolytes for batteries and supercapacitors at North Carolina State University (Raleigh, USA). He then joined successively University of Muenster, Muenster Electrochemical Energy Technologies (MEET) and Helmholtz Institute Ulm, in Germany as a project manager, working on various topics related to lithium metal and lithium-ion batteries (Li metal anode, nanocomposite and conversion/alloying anodes, lithium-air battery, ionic liquid and polymer electrolytes, electrode binders…). In 2015, he took the lead of a group dedicated to polymer and hybrid electrolytes at Helmholtz Institute Muenster (Germany). 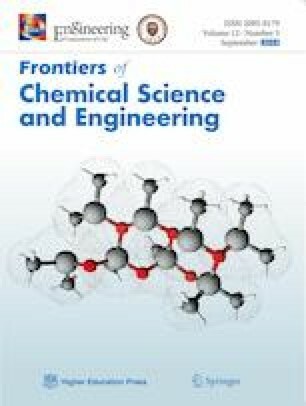 Besides his current focus on dry and plasticized solid polymer electrolytes, gels, and single-ion conductors for high voltage Li metal and lithium-ion batteries, he has been working on high voltage liquid electrolytes for graphite-based lithium-ion batteries, in particular within the EU project SPICY (2015–2018), where he investigated the practicability of sulfolane and adiponitrile, ethylene carbonate-free electrolytes. He is co-author of 55 peer-reviewed articles, 9 patents and 2 book chapters. The research presented is part of the ‘SPICY’ project funded by the European Union’s Horizon 2020 research and innovation program under grant No. 653373.